In this project, the landscape and the interior space are connected visually, physically, and spiritually. This enables home owners to sense and experience the nature all the time, which enhances their wellness and mindfulness. 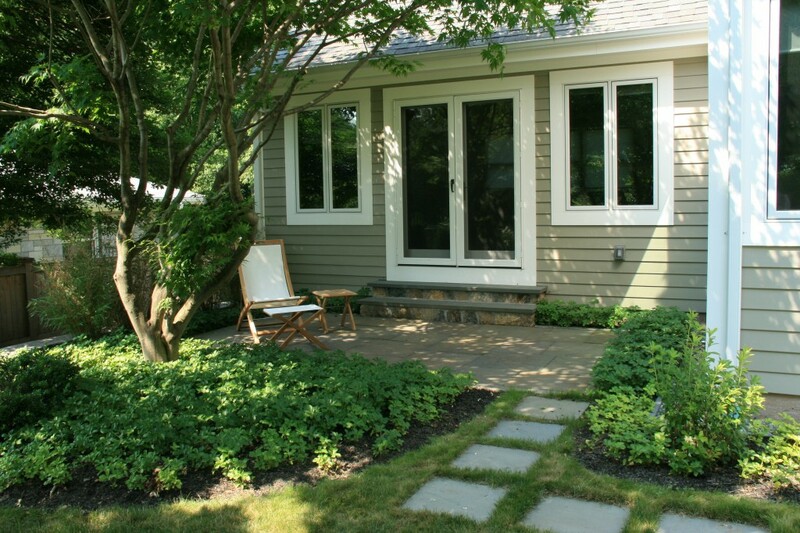 A shady small patio responds a family room by providing owners a quiet and cozy retreat. An open large patio is stretching out from a dining room, which will be a main outdoor space for family events. 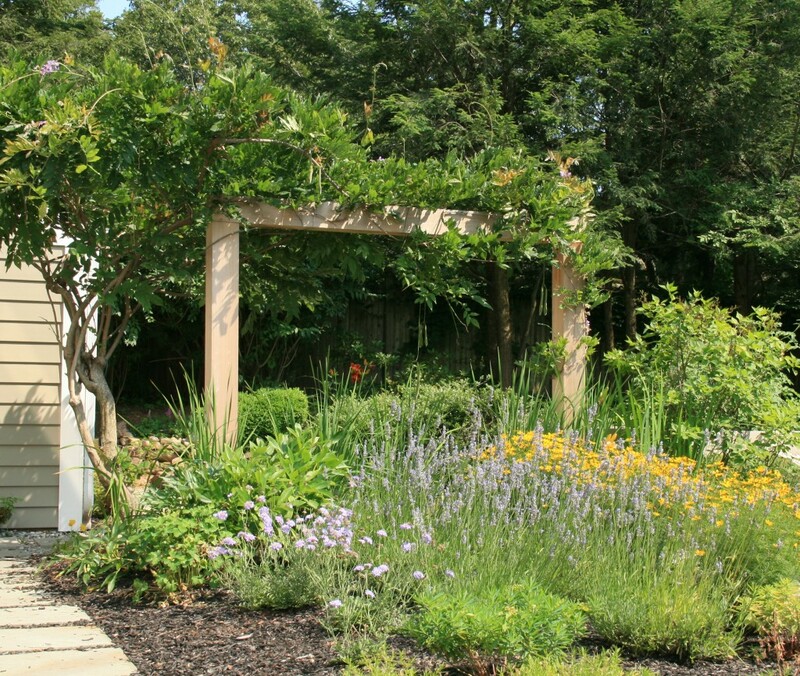 A minimalistic, sculptural arbor for an existing wisteria functions as a background of the large patio area and screens a vegetable garden behind. 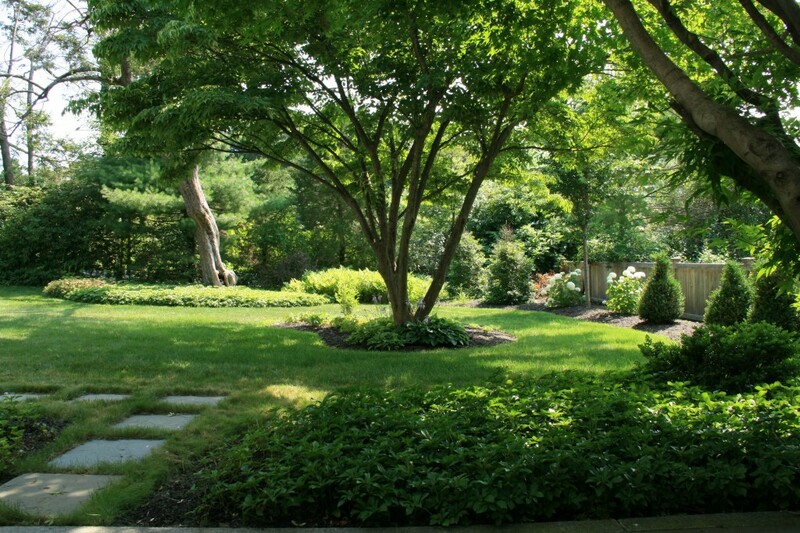 The character of planting varies from place to place. The colorful plant bed in front of a breakfast space attracts birds and butterflies. Sensitive leaves of bamboo screen and a large maple at the small patio soften sun light and noise. Southgate Nurserymen, landscape contractors in North Haven, provided their quality works for this project.